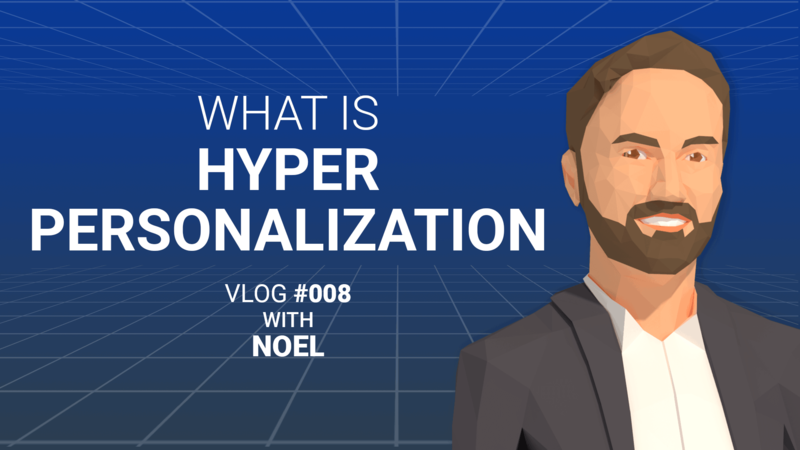 00:02 Hey guys, it's Noel from Electric Enjin, and today I wanted to talk to you about hyper personalization. So most companies will take your name, drop it in the email, and call it personalized. Hyper personalization goes way further than that. It'll take information based off what you like, what you purchase, and help tailor experiences specifically for you. One of the best examples of this is Netflix. It'll show you recommendations based off of what you previously watch and what they think you'll like. 00:25 Now, the reason you'll want to do this is really you have about eight seconds to get someone's attention if not less, so you want to make sure you're serving them relevant content. In fact, consumers are 75% more likely to buy if they're being shown information or content that's specific to them. Now where can you do this? You can do this through email, on your website, even through apps. Amazon's a great example of this. They'll send you out emails actually if you abandon your cart with products specific to what you were searching before. As you all know, I'm sure you've shopped on Amazon, they'll make recommendations based off your previous purchasing habits and what they think you might want to buy. 01:00 Starbucks does a great job actually on their app by making the same recommendations based off what you previously bought, and they have a loyalty program. In fact, 24% of their sales are coming from mobile now, so definitely a huge portion. There's a lot you can be doing with hyper personalization, and it will really help step up your game on your website, and we'll be speaking more about this. If you guys have any answers or comments, feel free to leave them. Again, we'll be seeing you soon. Thanks, guys.